Why would I need self storage in Vallejo, CA? There are a variety of reasons why you might need self-storage in Vallejo, CA. How much is a storage unit in Vallejo, CA? The cheapest storage unit in Vallejo, CA is $75.00 per month. What size storage units do you have available in Vallejo, CA? In Vallejo, CA we have sizes that range from 5'x4' to 35'x10' to suit your storage needs. How much is it for a 5'x4' storage unit in Vallejo, CA? The cheapest 5'x4' storage unit in Vallejo, CA is $82.00 per month. Vallejo is a city located on the water in Solano County, California, nestled in the northern portion of the San Francisco Bay. Though it's home to just a medium-size population, it's among the most diverse cities in the nation. Vallejo is a popular commuter community, especially for people working in San Francisco just a short drive away. The city's well-developed public transit network makes it convenient to commute throughout the Bay Area. Vallejo is also a popular tourist destination, drawing a number of visitors for its Six Flags Discovery Kingdom and Blue Rock Springs Park. 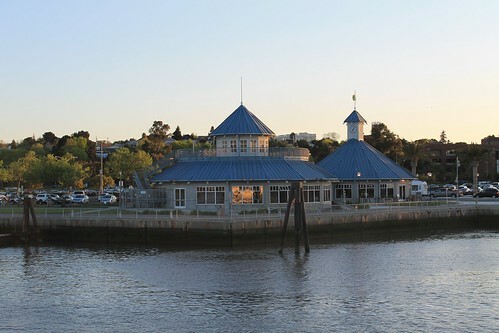 Before the 1830s, the Karkin and Suisun natives inhabited the land now known as Vallejo, California. In 1835, Mexican military officer Mariano Guadalupe Vallejo traveled to the area to establish various land grants. After California became a state in 1850, General Vallejo donated 156 acres of his land to help create his dream of a new state capital. While General Vallejo wanted to call the new city Eureka, the citizens insisted on naming the city in his honor. In 1852, Vallejo became the first seat of the California state government. However, the legislature made the decision to move the capital to Sacramento just a few weeks later, returning just briefly to Vallejo after a natural disaster. Once the legislature left Vallejo for the final time, the city's development paused for a short period. When the United States Navy purchased Mare Island in 1853 to create the first naval installation on the West Coast, Vallejo began to grow again. During World War II, Mare Island became one of the largest shipping construction centers in the area. This caused the population of Vallejo to grow from 26,000 to around 100,000 within a short time span. While the shipyard officially closed in 1996, the city has continued to grow and evolve. Vallejo is home to a variety of things to do, whether your interests lie in the great outdoors, arts and culture, history, or community events. There's something for everyone within the city, making Vallejo a desirable place to live for both families and young people. If you enjoy golfing, you'll be able to enjoy the sport at three different 18-hole public courses in the city: Blue Rock Springs East and West, Hiddenbrooke and Mare Island. The opportunities to enjoy the sunny California weather don't end there. There are also a few local marinas and a yacht club offering sailing and scenic views. Six Flags Discovery Kingdom is one of the most popular places for entertainment in Vallejo, spanning over 130 acres. The park features several roller coasters, water rides, animal attractions and family-friendly rides. The Vallejo City Unified School District manages the public schools of Vallejo. In addition to its traditional elementary, middle and high schools, the district also serves a charter continuation school, a community day school and a home study support program. There are several alternatives to public education in the area, including a handful of parochial campuses and charter schools. If you're considering higher education in Vallejo, there are a few different campuses conveniently located in the city. Solano Community College, Touro University California and the California Maritime Academy are all post-secondary options to consider. Utilities: The city of Vallejo manages public water services. You'll be required to deliver your deposit in-person at the utilities office in order to begin services. Pacific Gas & Electric is the city's central energy provider. Garbage and Recycling: Trash, recyclables and organic waste are all collected curbside throughout most of Vallejo. Transportation: You can utilize a number of public transportation systems in and around Vallejo, including public buses and Bay Area Rapid Transit (BART). Pets: All dogs in Vallejo must have a current rabies vaccination and be licensed with the city. You can complete the licensing process in person, by mail or online. Considering its convenient Bay Area location, Vallejo has a relatively affordable median home price. You can purchase a home here for far less than in other Bay Area cities, making it a popular place for commuters to call home. Our lowest priced units in Vallejo, CA average $84.00 per month. 210 people have reserved units in Vallejo, CA in the past 30 days. There are 4 locations within Vallejo, CA's city limits.